How can you top twerking your way to infamy and riding in on a enormous wrecking ball? How about a billion costume changes and an accidental (?) nip slip. 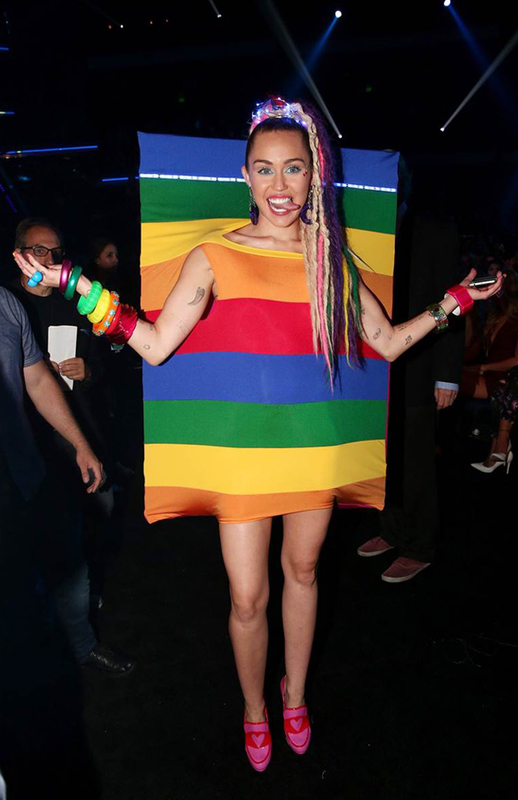 Here are every single weird, wild and wonderful costumes Miley Cyrus wore as she hosted the MTV Video Music Awards. Also giving away your new album for free that's co-written with genius Wayne Coyne of the Flaming Lips is a good way to go too, listen below... or download here for free.